SAN FRANCISCO -- All 30 people that were in a boat that capsized in San Francisco Bay this afternoon are accounted for, a U.S. Coast Guard spokeswoman said. The capsized boat was reported to the Coast Guard at 4:02 p.m. near Pier 45. Twenty-seven adults and three children were on board 34-foot Khaleesi that sank and had trapped some people under the hull, fire officials and Coast Guard spokeswoman Lt. j.g. Nicole Emmons said. The U.S. Coast Guard, divers and helicopters responded and had everyone out of the water in 32 minutes. 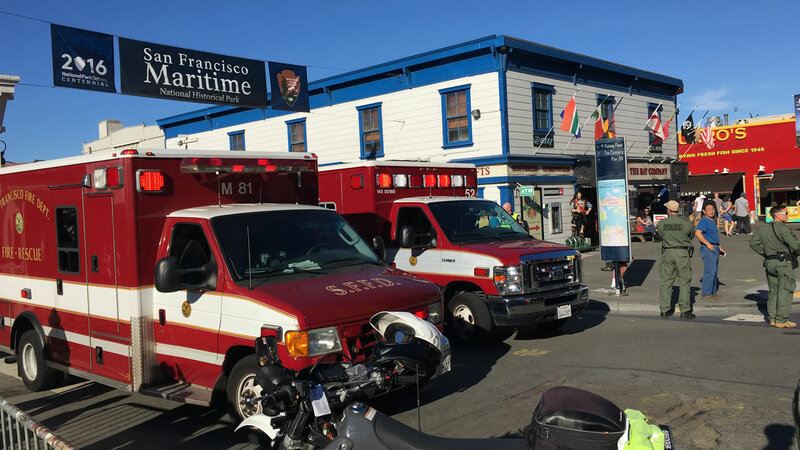 Some first responders were conducting safety patrols in that area of the bay because of Fleet Week and were able to quickly respond.